The upcoming HTC U11+ promises to be an interesting device (unless you live in the US, where it won't be released – sorry). It's apparently what became of 'Muskie,' the canceled HTC-made Pixel 2 XL, so we're expecting a premium smartphone that could be HTC's best yet. My initial reaction to it was very positive, anyway. One of the features that will ship with the U11+ is Smart display, which is essentially HTC's version of Ambient Display. 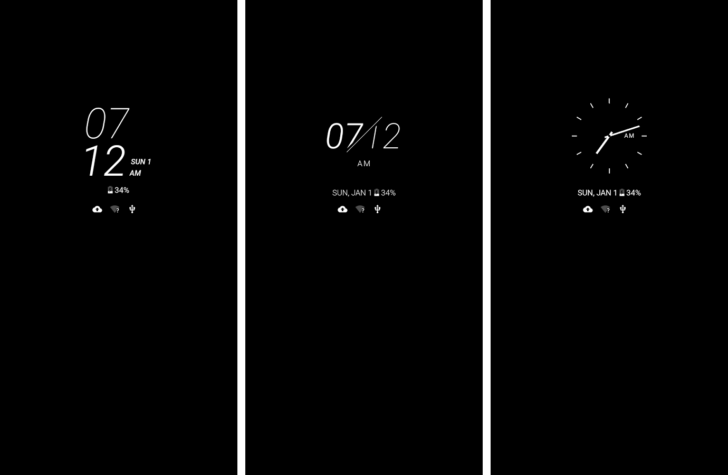 Much like what you get on a Pixel, Smart display will show the time, date, and notification icons. It can be set to be 'always on,' and a schedule can even be set to conserve battery. Unlike Ambient Display, it will also show battery level at all times, not just when it's charging. It's becoming more and more popular to separate apps out from the OS for easy updating, and that's exactly what we're seeing here as Smart display can already be found on the Play Store. The app will also be able to show you clocks for timezones while you're traveling, and there's an element of customization involved with different clock faces to choose from. It's unclear if Smart display will be compatible with any other HTC devices. You can pre-order the HTC U11+ online for £699 (€799), and it's supposed to ship sometime this month.